For some email servers (for example, Hotmail and Gmail) people can sign up using bogus information, so you'll never find their real identities. For other email server addresses, you might trace the IP address from where that email originated, but if the person sent that email from a public computer, you won't find the email account owner that way, either. However, there are some free techniques you can use to investigate the identity of an email account owner. For a fee, you can also hire a private investigator to research who owns an email account. Start by conducting a reverse email search. There are free search engines that look up information associated with an email address that can help you identify the email account owner. One is Google, which is the most comprehensive public search engine available. To run a search, go to Google.com, enter the email address in the browser window (in the format "name@server.com") and press the "Google Search" button. The results show every online site, document and so forth where that email address displays. For example, you might find the email address in a social networking site or personal website, which might display the owner's name for that email address. Alternatively, you may come up with a business address so you can find out where the person works. Deep web search engines have web crawlers that find information more traditional search engines miss. One such deep web search engine is Pipl, which offers a reverse email search that finds instances of the email address in a wide variety of online sites, documents and more. It's easy to search Pipl. Go to the home page of Pipl.com, press the "email" link, enter the email address and press the "Search" button. Each online site that contains the email address displays as a link. Click on the link and review the information for a name associated with that email address. For example, the link might open an online resume that contains that email address and the email owner's name. Every computer has a unique IP address. Running a trace on this IP address does not produce the email account owner's name, but it can reveal other identifying information (such as the email service company name and address, which is useful for issuing a subpoena for the email owner's name). 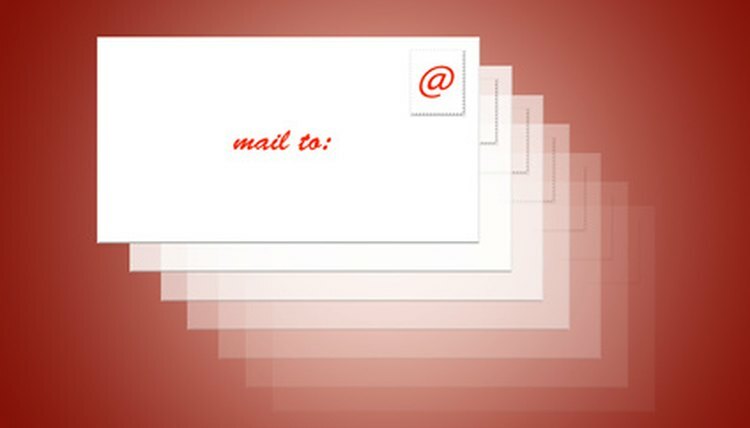 To find the IP address, open the sender's email message headers. Toward the bottom of the headers, look for four groups of numbers separated by dots (for example, 1.123.45.678) which are the IP address. After finding the IP address within the email sender's message headers, conduct an IP trace to find more information, such as the geographical location of the computer where the email message originated. One free IP tracing service is IP Checking. Go to Ipchecking.com, enter the IP address in the "IP Address or Host Name" search field and press the "Lookup" button. A results Web page displays that shows information such as the host name, country, city, email server company name and address and more. If, despite your best efforts, you are coming up empty handed, the final option is to hire a private investigator. Some investigators specialize in email tracing, and are skilled at researching email account owners' identities. You will have to pay a fee for this service, which may be a one-time fee or an hourly rate. To find a qualified investigator, contact your state professional private investigator association. Collins, Colleen. "How to Find Out Who Owns an Email Account." , https://legalbeagle.com/6008659-out-owns-email-account.html. 14 March 2019.